It’s all about to start again. You’ve probably made up your strategic plan for 2018. Decided in which period you will target your different segments of potential customers, when you’ll launch your newest product or service, what your KPI’s will be. 1. Know what’s going through people’s minds and act on it. 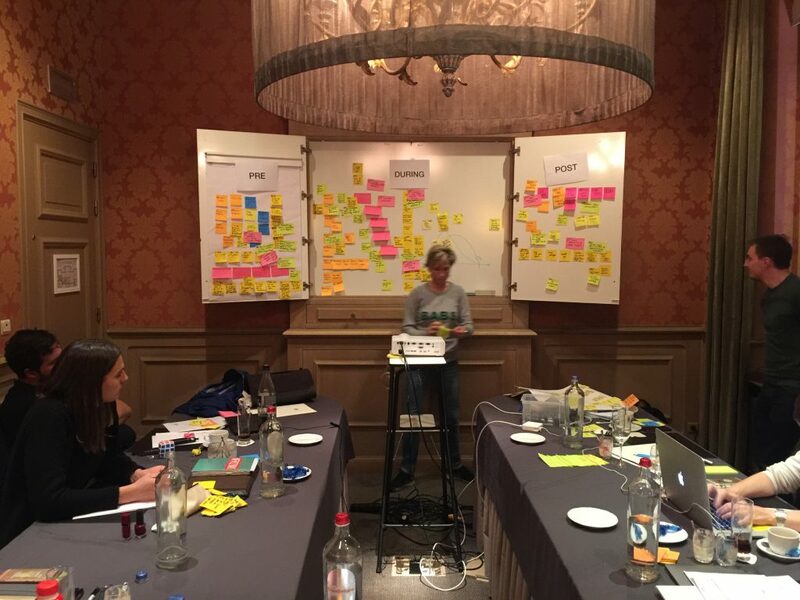 This year, the biggest breakthroughs I had when working with clients were in Empathy Mapping sessions and starting every plan from the perspective of the potential customer. In most companies’ day-to-day setting, it’s very hard not to think in terms of your existing business and not turn a blind eye to the universe it is existing in. Having everyone in this customer-mindset makes the decisions much more easy to take. It becomes clear as daylight which difference you should be making in the lives of your potential customer. So, if you really want to make 2018 about your customer, start to implement Service Design-principles in your process. It’s the most efficient thing to do considering (when done will) this ensures you’re spending your time on the right stuff. And that’s priceless. 2. 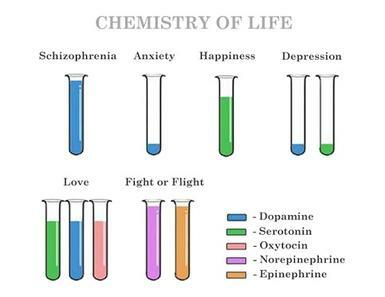 Study Serotonin, Oxytocin & Dopamine. ‘Loss aversion’ has been one of the most interesting human behaviours I’ve encountered and studied in the last few years. You have to make up for the time and money you take from people. As the market for attention is getting bigger, you’ll have to step up your game. Study neurotransmitters and understand their functions. The Manifesto of Greater Than X really sums this up for me. You have to design for Serotonin, Oxytocin and Dopamine if you want people to use your product or service. Sounds very scientific, but it’s the most human thing to do. Ask yourself how your product, service or marketing can be altered to incorporate this knowledge. Are you generating pain or pleasure? Are you doing this for the right reasons? Pain can lead to customers if you’re the one who solves it, an absence of pleasure will lead to a loss of customers. 3. Embrace platforms, apps, VPA’s… You’ll need them. The ‘Hub & Spokes’-model is rumbling. Stop using the ‘spokes’ as just a pathway to your website. Website traffic is not a goal, creating valuable touch-points is. More than just adding links to your website, be ready to carry out your brand’s most suitable message for the platforms you’re on. Know why people use which apps and draw analogies (Hint: you’ll probably end up somewhere in my previous resolution). Understand what it is that people are asking VPA’s for and develop in function of this need. Have a team working on the statement ‘What should we build if all internet searches are replaced with conversational voice search?’. 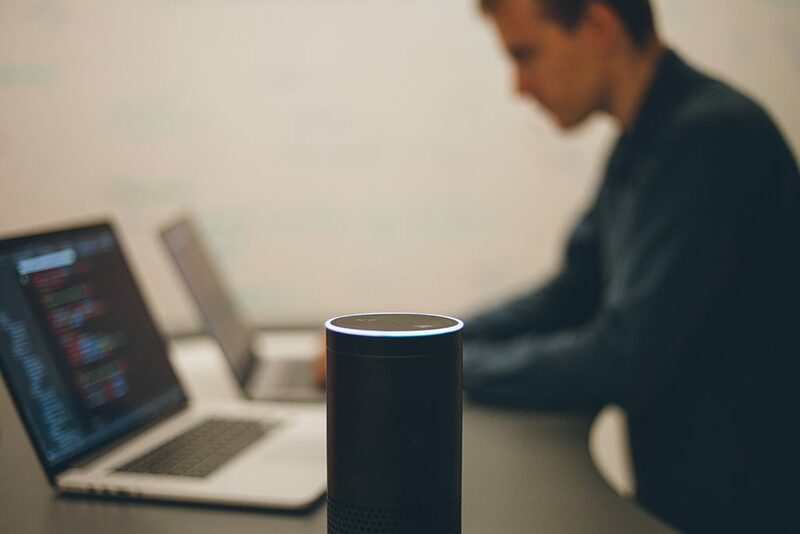 At Wijs, we have the amazing Koen Vinken en Stijn Spanhove working on Alexa and voice search. 4. Get your company ready for conversational platforms, AI and immersive UX. In my best guess, these are the three technologies that will influence your job most within the next 5 years. These are very much aligned with and influenced by Gartner’s findings on Digital Marketing and Advertising technology. For any one of these technologies will probably be ‘somewhat useful’ by 2019, this year should be about getting to know them and try out what value they could bring for single-purpose goals. Don’t expect to have a general purpose conversational platform in 2018 if this is not the only focus for the year. It will not happen. Conversational Platforms: Your focus should be on NLP and intention detection. Build single-purpose chatbots to solve one of the most common problems in the customer journey. Doesn’t matter if it’s in onboarding, informing, entertaining or getting a cab. Artificial Intelligence: There is a lot of artificial intelligence in place right now. Mostly its in the hands of second parties and put in a black box. Get someone in your team educated on the subject and have him/her both challenge your partners as well as finding opportunities for your business flows. Immersive UX: Play around. The world of gaming will probably be some years ahead in the use of technologies like AR and VR. Look at what they do. 2018 will probably see relatively cheap head-mounted displays for gaming and thus advance this field. Imagine a world with smartphones and HMD’s being the main carriers of Augmented Reality. Find your place in that world. 5. Build your own datasets. The importance of useful and clean data will increase. Having this data at your disposal, combined with the know-how to use it, will give you a better position when talking to MarTech partners and publishers. 2017 has been the year in which trust in Third Party-data decreased even further. Mainly due to the lack of transparency in gathering of the data and thus the quality of it. Define a data-approach on how to create as much first party data as possible. Get your partners in on it. The use of their data should always have your first-party data as a starting point and should mainly involve similar audiences (clustering) and exclusion of existing audiences. Signing off for 2017. Please do let me know how your year has been. Want to have chat on some of these subjects? Contact me.